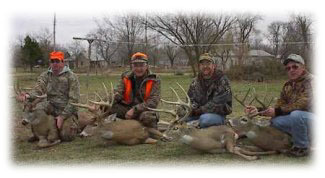 Kansas has some of the best trophy Deer Hunting around, and we have some very remote areas with great whitetail deer populations. Our ranches have had very limited hunting pressure in the past, and we have acreages to accommodate groups ranging from 2-10 people. We are only interested in serious, conscientious hunters that will respect the property and abide by Kansas regulations. Remember, the deer hunting license deadline is April 25. 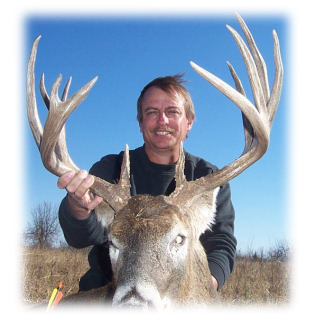 Kansas archery season runs into the rut in November, if you're interested in a hunting adventure during this time period. The rifle season is the first part of December. Generally, the rut is winding down, but the bucks are still looking for hot does. 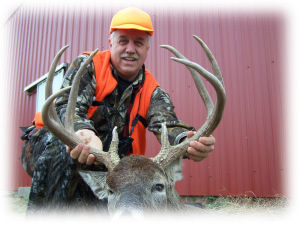 Our hunts are all semi-guided deer hunts. We will show you our ranch and boundries, provide maps and detailed scouting information, and then stay out of your way. Depending on your hunting needs, stands will be placed in pre-scouted locations. 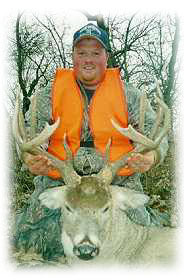 Deer Hunters have visited our Deer Hunting page!